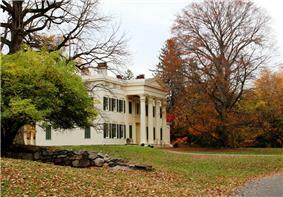 Jay Estate is the childhood home of American Founding Father, John Jay. Rye is a city in Westchester County, New York, United States. It is separate from the town of Rye, which is larger than the city. 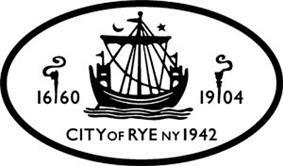 Rye city, formerly the village of Rye, was part of the town until it received its charter as a city in 1942. The population was 15,720 at the 2010 census. Rye is the youngest city in New York State. No other city has been chartered anywhere in New York State since 1942. Playland, a historic amusement park designated a National Historic Landmark in 1987, is also located in Rye. Playland features one of the oldest wooden roller coasters in the Northeast, the Dragon Coaster. Of note are two 200+ year old milestones labeled 24 and 25 on the Boston Post Road, America's oldest thoroughfare. The concept of mile markers to measure the distance from New York City was originated in 1763 by Benjamin Franklin during his term as Postmaster General. Rye is also home to a rare 1938 WPA mural by realist Guy Pene du Bois which is located within the city's Post Office lobby and titled "John Jay at His Home." Rye was at one time a part of Fairfield County, Conn., which was a belonging of the Sachem Ponus, of the Ponus Wekuwuhm, Canaan Parish, and which was probably named for that chieftain, "Peningoe Neck". The oldest house in the city, the George Washington stayed at the inn on two separate occasions, remarking favorably on his experience in his diaries. The wooden Dragon Coaster, is a signature component of Playland Amusement Park, a National Historic Landmark that dates back to 1927. ^ "Profile of General Population and Housing Characteristics: 2010 Demographic Profile Data (DP-1): Rye city, New York". U.S. Census Bureau, American Factfinder. Retrieved November 15, 2011. ^ Selleck, Rev. Charles M. (1896). Norwalk. p. 371. ^ "Welcome to the Hudson River Valley National Heritage Area". hudsonrivervalley.com. ^ "National Register of Historic Places Listings". Weekly List of Actions Taken on Properties: 1/31/11 through 2/04/11. National Park Service. 2011-02-11. ^ "Top 10 most expensive real estate markets in the US". The San Francisco Chronicle. Retrieved 2011-12-27. ^ "10 Best Places to Live in New York - Movoto". Movoto Blog. ^ "学校案内" (Archive). Japanese Educational Institute of New York (ニューヨーク日本人教育審議会). Retrieved on April 15, 2015. The names of the weekend schools as stated on the pages should be "The Japanese Weekend School of New York" and "The Japanese Weekend School of New Jersey" - note that the Japanese names between the day and weekend schools are different. ^ "連絡先" (Archive). Japanese Educational Institute of New York (ニューヨーク日本人教育審議会). Retrieved on April 15, 2015. "150 Purchase Street, Suite 7, Rye , NY 10580 USA"
The Japanese Educational Institute of New York (JEI; ニューヨーク日本人教育審議会 Nyūyōku Nihonjin Kyōiku Shingi Kai), a Japanese day schools and two weekend school systems in the New York City area, has its headquarters in Rye. Emergency medical service is provided by Port Chester-Rye-Rye Brook EMS at the Advanced Life Support Level (ALS). They are a combination agency with 50 members (30 paid EMTs, 15 paramedics and five volunteers). They operate five ALS ambulances and three paramedic flycars from their station in Port Chester. The City of Rye Fire Department has 16 career firefighters of which only 3-4 are on duty at any one time. These career firefighters are supplemented by approx. 18 active volunteer firefighters. They use two Fire Stations and man two Engines, two Ladders, two Utility Units, and three Command Vehicles. The Rye Fire Department responds to approximately 1,100 emergency calls annually. The City of Rye police department has 35 sworn-in officers and about six civil officers. They operate a fleet of Ford Crown Victorias, Chevrolet Tahoes and one military-surplus truck used for emergency services. There is also one Toyota Prius for parking enforcement. This car can be seen parked on the shoulder at Rye High School in the morning helping students cross the street into the school parking lot. The Rye Auxiliary Police is an all-volunteer force that provides assistance when needed. Police officer are always first on scene to medical calls and can provide basic life support. The Westchester County Police also patrols several areas of Rye, such as Playland Park and The Marshlands. The Rye train station provides commuter rail service to Grand Central Terminal in New York City or Stamford and New Haven-Union Station via the Metro-North Railroad's New Haven Line. The Bee-Line Bus System provides bus service to Rye on routes 13 and 61 with additional seasonal service to Rye Playland on routes 75 and 91. Rye is home to one Fortune 500 company, Jarden. It is home to The American Yacht Club, Westchester Country Club, The Apawamis Country Club and the Coveleigh Club. In 2010, Coldwell Banker reported that Rye was the third most expensive city in the country in which to buy a home. The city of Rye was ranked ninth in the list of the top 10 places to live in New York State for 2014 according to the national online real estate brokerage Movoto. The annual Rye-Harrison football game has been played for more than 80 years and is a top high school football rivalry in Westchester County. The Rye team has won three recent New York State championships, two of those consecutively, and has defeated Harrison in 13 of the last 14 contests including 2 victories in 2015. Harrison leads the all-time series with a record of 42-41-3. The Rye High School, has been named a Gold Medal school and the 61st best high school in the U.S., 9th in New York State, and 1st in New York State if test-in schools are disregarded according to U.S. News & World Report's 2013 "Best High Schools". Rye is also home to Rye Country Day School, a college preparatory school. Rye is served by three public elementary schools: Osborn, Milton and Midland. Rye Middle School and Rye High School follow; they are part of the same campus, and the two buildings connect. The Greenhaven neighborhood of the City of Rye is served by the Rye Neck School District. Rye Neck High School and Middle School are one one campus also located partially in the City of Rye. Rye is known for its famous amusement attraction, Rye Playland. This 279 acre theme park is owned and operated by Westchester County and includes rides, games, an indoor skating rink or Ice Casino, beach, a boardwalk and concession stands. It is one of only two amusement parks in the country with National Historic Landmark status, the other one being Kennywood in Pennsylvania. 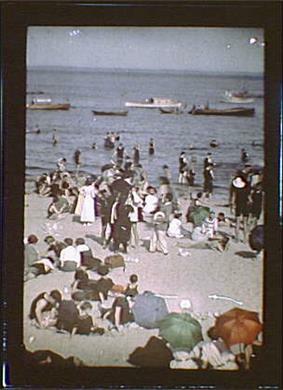 It has been a popular destination since it first opened in 1928. Its wooden roller coaster, the Dragon Coaster, built in 1929, is one of the last roller coaster rides built by engineer Frederick Church that is still operating. The Derby Racer, also built by Church, is one of only 3 rides of its kind remaining in the world. Glenn Close and Ellen Latzen ride the roller coaster in the 1980s thriller, Fatal Attraction. Playland is also the setting for several key scenes in the comedy film Big, starring Tom Hanks. Listed on the National Register of Historic Places (NRHP) are The Square House originally known as Widow Haviland's Tavern listed in 1974, the United States Post Office - Rye listed in 1989, the Rye Town Park-Bathing Complex and Oakland Beach listed in 2003, the African Cemetery listed in 2003, the Bird Homestead listed in 2010 and The Rye Meeting House listed in 2011.